← Going for Broke. Our Ponzi Economy. Newt Gingrich is awakened, like Abou Ben Adhem, from a deep dream. It’s 5:00 am on Christmas Day – he peers around in the darkness. He senses it – there’s a supernatural kind of presence in the room. “Who’s there?” he cries out as he hauls his bovine bulk out of bed. Newt snaps awake. Yes, indeed, in the room he spots a glow and the form of Jesus, upright, gentle and yet exuding a powerful divinity. A shimmering, translucent halo lights up the bearded face and long, dark hair spilling over the shoulders. Newt Gingrich: Happy Birthday, Father. What a pleasant surprise! I feel blessed and privileged. I am being singled out by your special grace. 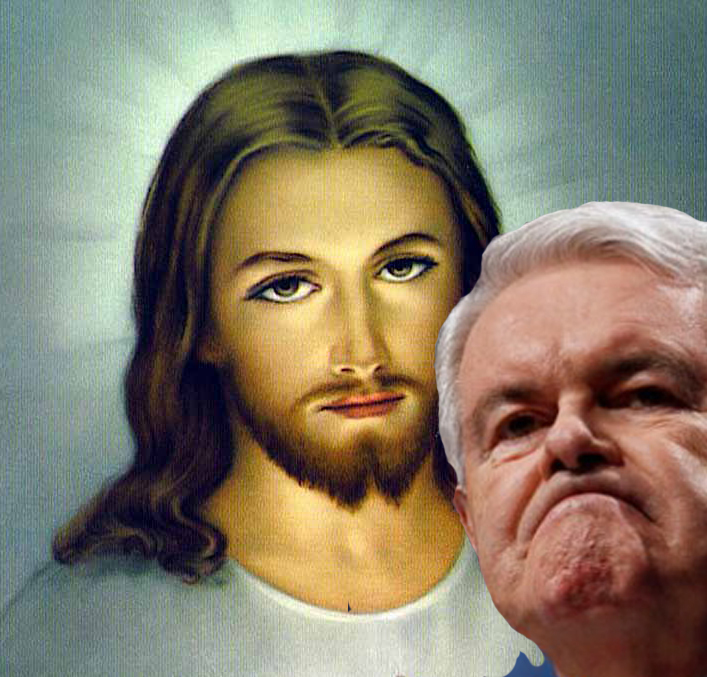 Jesus: Newt, I am here to ask you to put Christianity back in Christmas. Newt Gingrich: Yes, Father. I have been working tirelessly for just that. The secularists, the atheists and the Politically Correct have hijacked you out of Christmas. They will not allow us to even say, ‘Merry Christmas’, or put up The Ten Commandments or Creches in public places. They want God out of all discourse and separate our great Christian nation from its founding culture. Jesus: That’s fine, Newt. But my injunctions frown upon the gaudy display of graven images in lieu of following my teachings. Take the Ten Commandments. Remember something in there about not committing adultery? You have been cheating on your marriages, since your first marriage to Jackie in 1962, 49 years ago! And in 1980, when you first discovered she was dying of cancer, and when in violent disregard for the Christian commandments you were having an affair, you actually served her with divorce papers in front of your two daughters! And then you lied and said that it was she who had asked for the separation! Newt Gingrich: Father, I know I have sinned. I do not deny having gone astray. Jesus: You actually took part in the public stoning of an ex-president that you felt was a hindrance to your power grab, impeaching him for adultery as you yourself were committing it! How strongly did you succumb to the devil, Newt? Even the Hindus know better than to perpetrate that kind of hypocrisy. Newt Gingrich: The essence of your teachings is forgiveness, isn’t it, and I have repented truly within my heart – openly, on Television even, after I gave the reason for my inattention to your commandments, viz that I was so preoccupied with fixing my beloved country I sometimes forgot which woman I was supposed to be with. So even though I’m not technically responsible for my adulteries, being so distracted, I have repented, as humbly as you have endowed me with the capacity to. Newt Gingrich: You are fu—ing kidding me! Oops, sorry about that. I repent I ever said that, specially in front of you, Jesus. I will repeat Hail Mary three times to atone for my vulgar outburst. Jesus: Remember my Sermon on the Mount? Blessed are the poor, for theirs is the Kingdom in Heaven? Newt Gingrich: But, sir. The poor these days are not what you may have seen in Biblical times. They have no culture of work. Many of them drink, do drugs and have no family values. They fornicate and have babies out of wedlock and we’re supposed to transfer money to them? Jesus: You don’t get the true spirit of Christianity, do you? Newt Gingrich: Father, you are advocating class warfare. Teaching envy of the productive among society, the job creators, the, um, rich. Jesus: No, Newt, I am advocating Christian values of charity, love and personal sacrifice. Ours is a religion of the underdog – it believes in uplifting everyone, no matter how wretched. It believes in simplicity, sacrifice and truth. 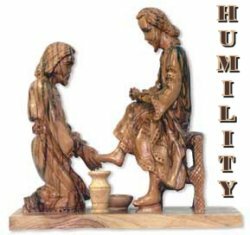 Humility, not self righteousness, looking for evil within ourselves not denouncing others. By the way, we’re also against gluttony and avarice, if you missed that in Bible studies. Newt Gingrich: Frankly you sound like a liberal. Have you been watching Rachel Maddow? Jeez! (Oops, Hail Mary, Hail Mary). The room was dark again. The gentle form of the Lord had left. This entry was posted in Christmas, Current Events, Politics. Bookmark the permalink. Excellent piece. I enjoyed every bit of it. Very blunt – with necessary punch:-) And, good dialogue writing too… I can appreciate it as a filmmaker. Thanks for sending me the link. Happy New Year. I think the more powerful the person, the more commandments they seem willing to break. he will be profiled for the looks, language and values he stands for. 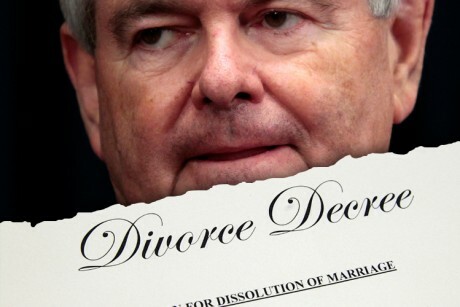 Newt needs a new commandment: Do as I say, not as I do! Oh lord please give him one swift…….! I enjoyed it! Was surprised when Obama became president because I thought the country was not ready for it. But will be even more surprised if Newt made it. No chance ! I liked the Hindu bit. When it comes to hypocrisy they are way up the totem pole, but some Christian denominations are not far behind. Confess, repent and all is forgiven. Like kiss and make up. God, save us from hypocritical religions. Let not the dhoti clad spill milk in the ocean when so many are in want. This is my prayer to thee, Oh Lord. This is the best piece I have read in a long time. I read it to my whole family here in Alhambra in Spain and they all had a laugh. Happy new year. So poignantly true. Religious politicians are the biggest hypocrites. I wonder how the religious right can justify a vote for Newt. Possibly the same way they re-elected George W – supposedly religious but blatantly in violation of “thou shalt not kill.” He even went the torture route, without reprimand. Yes, hypocrisy reigns among the religious. Great piece! Thanks, Louise. You wonder who is more religious – the quiet community organizer who works with the poor and doesn’t always go to church, but honors his family, or, the loud-mouthed, self-styled, person-of-faith like the Family Council types or a Newt.